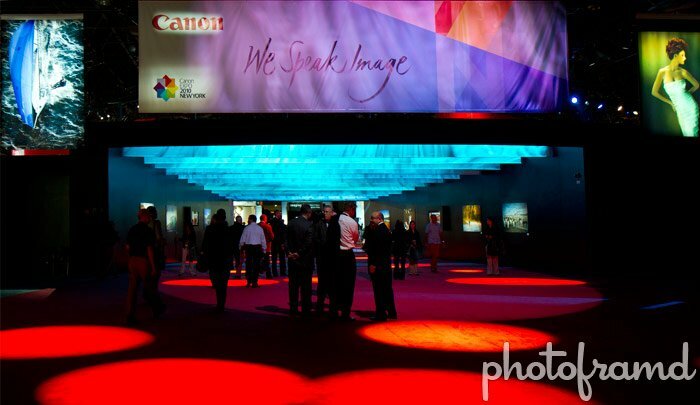 The Canon Expo 2010 is a high profile event for Canon as an international company. Canon employees from around the world were walking the tradeshow floor, mingling with professionals, resellers and Canon fans. Most of the prototypes and future tech were kept under the protective eye of R&D people direct from Canon Japan. Many Canon reps were just as amazed as us ordinary folks. 1. Nikon made a major blunder using Motion-JPEG for DSLR video. No one in Hollywood wants to use it. It is not seen as a professional video codec. 2. Nikon’s autofocus in D3100 is a grab at consumer-grade video users. No professional videographer would use autofocus. 3. Nikon purchases all synthetic fluorite from Canon. Canon holds all patents on synthetic fluorite and is the sole manufacturer. 4. Nikon does not manufacture its CMOS sensors. They purchase them from Sony. 5. The real battleground – better performance in high ISOs for both still and video. The mega-pixel race is over.